Home/Over 400 Runners helped the Atlanta Children’s Shelter raise $85,000 for the 10th Annual 5 To Thrive 5K & Bunny Run/Walk! The Atlanta Children’s Shelter (ACS) and more than 400 community supporters gathered in Piedmont Park for the 10th Annual “5 to Thrive” 5K Run/Walk and Bunny Run on Saturday March 31, 2018 to support ACS’ programs serving homeless children and families in Metro Atlanta. 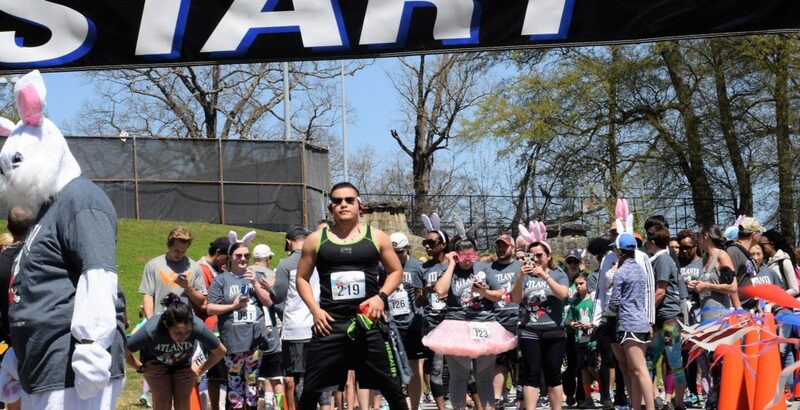 The event continued with a 5K Run/Walk and a fun run affectionately called the “Bunny Run” with mascots from Georgia State University and ACS followed by an Easter Egg Hunt. Trophies were awarded for Men and Women’s Overall, Men and Women’s Master Overall, and the top 3 winners in 7 age groups.